Everyone loves a winner and that’s certainly true when its comes to preparing a car for the world’s toughest endurance rally – The Peking to Paris Motoring Challenge. 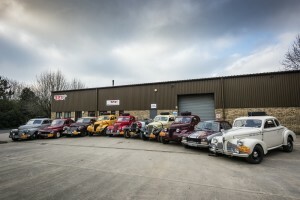 After preparing the Chevrolet Fangio Coupe crewed by Phil Garratt and Kieron Brown, winners of the 2013 event, Oxfordshire-based Rally Preparation Services (RPS) has worked with 24 competitors from across the world to rebuild and restore their classic and vintage cars ready for the starting line on 12th June 2016. “There is no other outfit globally that can boast having 24 cars on the entry list for the Peking to Paris rally that come from its own stable,” says Simon Ayris, Owner of RPS. “And that’s cars we’ve had in the workshop. There’s at least another dozen or so cars on the entry list that we have consulted on and given advice about. Its taken well over 18months to get them all ready and on the boat to Beijing.” Amongst the 24 cars RPS prepared cars are seven Chevy Coupes from 1938/39 that are all hoping to follow in the tyre tracks of the winners of the 2013 and 2010 events, with another five crews opting for 1930s American Coupes. “They’re popular on endurance rallies because of their toughness yet simplicity. You can put them through hell and they can be fixed fast. 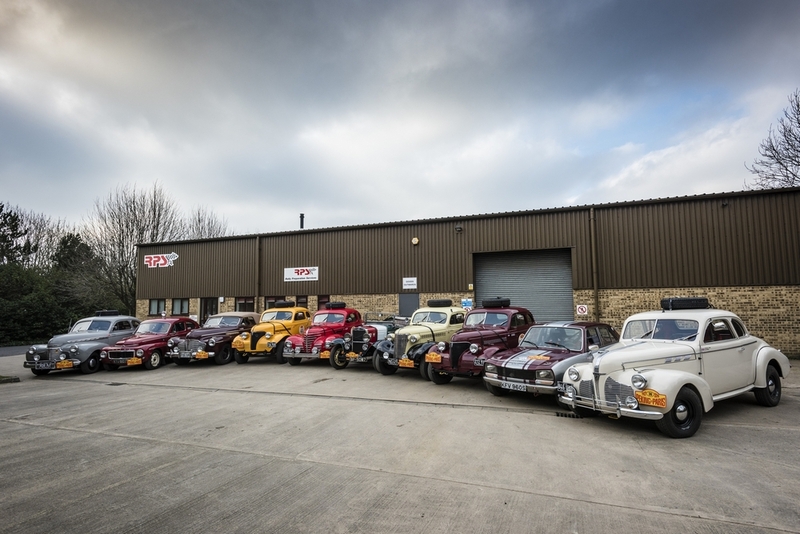 Ideal for an event like the Peking to Paris where you have got 36-days of relentless terrain to tackle.” RPS seems to have carved out a niche with vintage American cars but that doesn’t stop a mix of other marques coming through the workshop. “There will be a 1957 Chevy Bel Air in one bay, and a 1971 Peugeot 504 in the next, both doing the same event. We’ve also worked on a Mk2 Jaguar, a Mercedes 230SL and a Datsun 240Z. No two days or cars are the same and we love it that way.” As well as preparing competitor cars for the rally, RPS has also been responsible for getting the 14 support trucks ready for the organising team of the Peking to Paris, the Endurance Rally Association, which Simon and his senior technician Gary Pickard are joining for the rally. Plus, every single car on the rally along with the ERA vehicles have all had their event GPS tracking units supplied and administered by RPS. “To get the cars ready to go is one thing, to see them in action is another especially somewhere like the Gobi Desert. It’s an amazing event to be involved with.” The Peking to Paris Motor Challenge begins on Sunday 12th June from the Great Wall of China with 110 crews journeying 8,500 miles to the centre of Paris, crossing the finish line on Sunday 17th July.